Few men speak disrespectfully of money who are able to make it. Nobody can afford to condemn it, since it visits contempt with manifold evils. Neither to love nor to hate money, but to give it rational apprecia­tion, is the province of wisdom. This, above every other, is a monetary age. Cash is es­sential to civilization, at once its cause and consequence, the measure of its breadth and the plummet of its profundity. Every true ideal must rest on the real, and the real to­day is the coinage of the mint. Some money is a necessity; much money is a luxury—the luxury of selfishness, of benevolence or power, as the possessor may determine. The number of mortals is very small who value money for its own sake, and very large who prize it for its capac­ity of purchase. The proportion of Har­pagons to Jourdaius is as one to a thou­sand; and the Jourdains, in the comedies of life, revere gold as the purveyors to their pleasure, their vanity, or their ambition. Through the glitter of coin all possibilities are seen, and though many disappoint, the possibility of power supports expectation. In this commercial era money is power more than knowledge is, for that will buy this, but this will not insure that. The holder of a long purse may not gain love or esteem, but he is pretty certain to command outward respect. Man is inclined to be satisfied with symbols. They are the shows of things, and the general mind is so occupied with shows that it has no time for deeper consideration. Love of money beyond certain bounds is the passion for power financially disguised. What we call avarice is usually ambition. The whole world wants cash, must have it, and he who gets it in sufficient sums masters persons, controls communities, governs na­tions. Money-making is the science of the practical. It requires genius of a high order —genius that is creative, composite, compre­hensive. The gift is rare, and so little un­derstood that the earner of great wealth is a curiosity, an object of interest, to the mul­titude. The least acquisitive are fond of hearing of men who have amassed colossal fortune, and of the means of its amassing. It is pleasant to be informed how the few have won what everybody is struggling for. They who seize the fruit at which all the earth's inhabitants are snatching must be shrewd and tall and strong. They may be sordid, narrow, cynical, but they must have qualities of mind to offset the deficiencies of heart. There are heroes of finance, as there are heroes of war and heroes of self-denial. If they seldom excite our sympathy, they frequently challenge our admiration. They who can find dollars where no dollars are lost, who can turn hundreds to thousands and expenditures to incomes, are magicians with whose black-art we are very willing to be acquainted. There is romance in riches, unromantic as they seem, and poetry in their creation more than in their possession. The story of Alad­din's lamp may be rationally explained. He was simply a money-maker. Knowing bow to rub the vessel, the genius of bestowal came at his bidding. The lamps are com­mon enough, the touch is all in all, and the secret is too open to be revealed. Life is such a hard battle to the strongest and bravest of us who are obliged to make our own way that the details of the contest elicit our concern. If we have succeeded ourselves, we have a fellow-feeling with the successful: If we have failed, we are curious to learn how others have avoided failure. No financial history is more remarkable or more interesting than that of the Roths­childs. Their name is spoken everywhere; their wealth is proverbial; their prosperity has run into simile. There were great bank­ers before; there are great bankers besides them; but they are better known through­out civilization than any firm of the past or present. Their commercial connections em­brace the globe. They are involved in the well-being of the planet. Every ship that is lost, every crop that is gathered, affects, directly or indirectly, their enormous ex­chequer. When the sea rises off the coast of New South Wales, when the frost bites on the steppes of Russia, when the cholera begins its march in India, their income moves with these, as it does, indeed, with all the elements and forces of nature. Still, the history of the Rothschilds is a very recent history. A century ago the name had never been heard on the exchanges of Europe. A century ago the founder of the house, a humble but financially illuminated Hebrew, kept his dingy shop, the sign of the Red Shield (Rothschild) over the door, in the dirty quarter known as the Judengasse in Frankfort - on - the - Main. There, with keen eyes, questioning beak, and acquisitive fingers, he stood behind his dusky counter, changing money, discounting bills, pinching coins, buying cheap and selling dear, sordid­ly happy in the consciousness of daily accumulation. In the palaces of the city, princes and noblemen sat in gorgeous halls and gilded chambers, luxurious banquets before them, and listening beauties at their feet. But they were less contented than the de­spised and outcast Jew, who, when he barred and bolted his shutters and doorway at nightfall, counted his gains, and went to bed with the easy conscience of a capitalist that has lent money at usurious interest on un­questionable security. Among the members of his race Mayer Anselm Rothschild (the family name was Bauer, but he changed his cognomen to suit the emblem of his father's trade) early be­came a man of mark, and steadily grew in their esteem and confidence. He had an in­stinctive knowledge of precious metals and stones. He could tell a light coin or a de­fective gem at a glance, and to get the bet­ter of him in any transaction was simply im­possible. He was familiar with the commer­cial standing of all the firms, and with the peculiarities of every bill-broker in Frank­fort. He had excellent taste in art, rare ac­quaintance with numismatics, subtle insight into character, and perfect command of his temper. Frugality, industry, sobriety, and a talent for investment were among his con­spicuous virtues, and he had superabundant faith in his ability to compel Fortune to his side. The father of Mayer Anselm was Anselm Moses, a very shrewd but honest trading Israelite, who had a price for everything, be­cause he knew what everything would sell for. 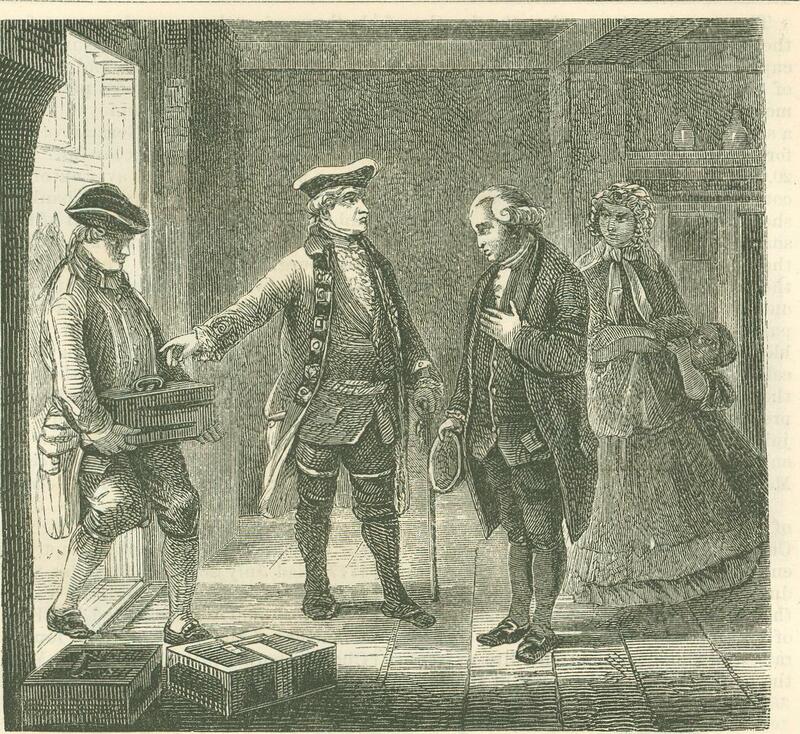 The elder Bauer was in the habit of sending his boy to the different bankers of the city to exchange coins, often receiving rare ones, which he disposed of at a hand­some profit. In this way the lad acquired an experience that was afterward valuable. It was not the wish nor purpose of the parent to educate his son to trade. He designed him for the priesthood, and dying when the boy was in his thirteenth year, left him a pecuniary independence, with instructions that he should remove to Furth, in Bavaria, and fit himself to be a rabbi. The orphan obeyed. He quitted Frankfort, and pored over the Talmud; but neither the Mish­ua nor the Gemara could draw him from his prejudice in favor of commerce. He soon returned to his native city, sur­rendering theology, and bent on trade. He began at the lowest round of the ladder, and steadily mounted, gaining an excellent reputation for business be­fore he was seventeen. Herr Oppen­heim, a prominent banker of Hanover, having become acquainted with young Mayer's parts, offered him a situation, which was promptly accepted. The predestined millionaire was not long in gaining the friendship as well as con­fidence of his employer, who appointed him associate manager, and so determined his future fate. For many years Rothschild held the position at Hanover, but finally resolved to go back to Frankfort, where he could have a broader field for his rising am­bition. That city then enjoyed special privileges. It was comparatively as much of a money center as it is now. Its fairs were attended by a hundred thousand strangers, and the agents of kings and emperors went thither to negotiate loans for their royal masters. 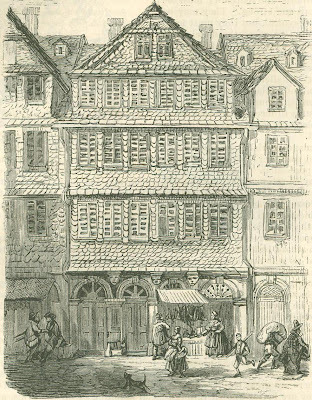 In his twenty-seventh year Mayer An­selm had married Gudula Schwapper, a native of the Free City, who brought him a liberal dowry, and bore him ten o children, five sons and five daughters. She survived him thirty-seven years, and died almost a centenarian in the old house in the Judengasse, where her husband and sons had met with such surprising prosperity. She had a su­perstitious veneration for the ancient building. She thought evil would be­fall her and hers if she should quit it; and at the last she thanked Heaven for the privilege of expiring under that fortunate and honored roof. William IX, the Landgrave of Hesse (as elector he subsequently adopted the title of William I), chose Rothschild as his banker, and laid the basis of the lat­ter's wealth. William was a depositor worth having, albeit his riches had not come to him, or rather to his father, in the most honorable way. It was his father, the Landgrave Frederic II., who furnished George III with seventeen thousand Hessians to fight against our colonial ancestors in consideration of $20,000,000. This vast sum backed by as much more, Frederic left to his suc­cessor, who put it all into the hands of the cunning knight of the Red Shield. Frankfort was amazed at this step. The famous bankers could not under­stand why William should pass them by, and repose his entire trust in a banker comparatively unknown. The cause was this. Baron Estorff, while adjutant-general to Duke Ferdinand in the Seven Years' War, became very intimate with Frederic and William. He also learn­ed much of the shrewdness, sagacity, and trustworthiness of Rothschild when the lat­ter was in the employ of Oppenheim, the baron's banker, and strongly recommended Mayer to the landgrave as an eminently proper person to leave money with. In con­sequence of such recommendation Mayer visited the palace of the prince in Cassel, and found him playing chess with the baron. Too tactful to interrupt the game, he stood behind the landgrave's chair, and held his peace, a mark of sense and sympathy which no sincere chess-player could fail to appre­ciate. "Sufficiently well, your serene highness, to induce me, were the game mine, to castle on the king's side." That was a master-stroke: it turned de­feat to victory, and so delighted the prince that he put his hand on his adviser's shoul­der, saying: "You are a wise man. He who can extricate a chess-player from such a dif­ficulty as I was in must have a very clear head for business." He then talked for some time with his visitor, and appointed another interview for the next day. After the banker had gone he told the baron that Rothschild understood chess like Frederic the Great, and that a man with such a brain must be capable of taking care of other persons' money. Knowledge of the game which had so charmed Haroun-al-Raschid, Tamerlane, and Charlemagne was never turned to more lucrative advantage. The counsel to castle secured to the banker the use of $40,000,000 and generations of financial glory. Rothschild proved himself worthy of the trust reposed in him. The landgrave, obliged after the battle of Jena (1806) to seek safety in flight, confided his silver and bulky treasures, amounting to millions, to the custody of the banker. When William, then elector, returned, eight years afterward, Mayer Anselm was dead, but his eldest son, Anselm, made out the account, with interest, which the prince declined to receive, declaring he should have lost the principal but for the fidelity of the father. The elector was about to withdraw the sum, when Napoleon's escape from Elba threw all Europe into consterna­tion, and so alarmed William that he begged Rothschild to keep it at two per cent inter­est per annum. The deposit remained with the house for nine years, and was then re­turned to the elector's successor, strictly ac­counted for to the last kreutzer. The story is not true that the founder of the great house, when the French, after oc­cupying the town, demanded the surrender of the elector's treasure, gave up, instead, most of his own fortune, in accordance with a solemn oath he had taken. The city was forced to pay a heavy indemnity —some 20,000,000 of francs—to the enemy on ac­count of its traffic in British goods and favor shown to British agents. But this was shared by all the citizens in proportion to their means, bearing no more severely upon the Hebrew banker than upon any other opulent resident. During the hostile occu­pation the elector's silver and other valua­bles were hidden in large wine-casks in the cellar of Rothschild. Had they been tapped, their contents would have been found more precious than if they had held the choicest juice of the Johannisberg grape, so carefully cultivated upon the Rhenish estates of Prince Metternich. Rothschild first appeared as a negotiator of government loans in 1792, when General Custine (he served in our war of independ­ence, and was beheaded by his compatriots during the French Revolution) demanded of the Frankfort Senate a large ransom on pain of sacking the city. That body could not raise the money, and in the dire extremity the banker came to the relief of the capital by borrowing the exacted amount from his friend, the landgrave. This insured the grat­itude of his fellow-citizens, and was of great benefit to him in a business point of view. He was subsequently employed to procure money for the smaller German states, and was always eminently successful. His pru­dence and integrity were ever extolled. He became the agent of capitalists, bankers, and noblemen, and the correspondent of the lead­ing firms of Mayence, Darmstadt, Mannheim, Augsburg, and Leipsic. The trade in Brit­ish goods was particularly profitable while the Continent was closed against them, and in these he dealt very largely. When his sons had reached a proper age he took them into partnership, giving them the best com­mercial education, and treating them always as younger brothers and intimate friends. The eldest son, Anselm, born June 12, 1773, died December 6, 1855, was the successor of his father in Frankfort. The second son, Solomon, born September 9, 1774, died July 27, 1855, established himself in Vienna. The third son, Nathan Mayer, born September 16, 1777, died July 28, 1836, fixed his residence in London in 1798, though he expired in Frankfort, and was regarded as the ablest financier of the family. The fourth son, Charles, born April 24, 1788, died March 10, 1855, settled in Naples in 1821. The last son, James, born May 5, 1792, was for some years in Vienna, but subsequently removed to Paris, where he died November 15, 1868. The five brothers constituted but one firm, in which all had an equal interest, conduct­ing their business as branch houses in as many cities, Frankfort, London, Paris, Vi­enna, and Naples. The original Rothschild breathed his last (1812) in his seventieth year, in the Jews' Lane, in the house where he had first seen the light, and where his father had lived and died. He passed away in perfect peace, and in the bosom of his devoted family, enjoining his sons to dwell together in love and har­mony, to hold their interests in concert, and never to divide their fortunes. In his will he vested the superintendence and general direction of the affairs of the house in the eldest son, who was to reside in Frankfort, and especially urged that the custom should be handed down from generation to genera­tion. All important consultations and the annual settlement of business have since taken place, and will continue to take place, in that city. The parent bank and the chief of the firm are always to be there, and at least once a year every partner makes a pil­grimage to that Mecca of money. The pioneer banker left an estate reported all the way from $6,000,000 to $20,000,000. No one but the members of his family ever knew the extent of his fortune, as it has been from the beginning the fixed policy of the Rothschilds to keep as inviolable secrets their smallest as well as their largest trans­actions. Unlike most millionaires, he seems not to have suffered, as his age advanced, from hardening of the heart, but to have been guilty of countless private charities, of which he never spoke even to his sons. It was his wont to walk at night through the wretched quarter in which he dwelt, and through other neighborhoods of poverty, thrust money into the hands of the needy, distribute alms unsolicited, and hurry on before he could hear the voice of gratitude. A sincere belief with him was that they who give in secret, and receive no thanks, are the truest benefactors, the most accept­able in the sight of Heaven. This is an old Jewish superstition which the wealthy Gen­tiles of to-day have altogether discarded. They have learned, through what they con­ceive to be celestial communication, because it repeats their own thought, that the no­blest benevolence is paraded in the newspa­pers, thereby establishing a reputation which it is not necessary to preserve by private charity. They have heard that he gives twice who gives quickly, and they so fear to give twice that they give not at all. 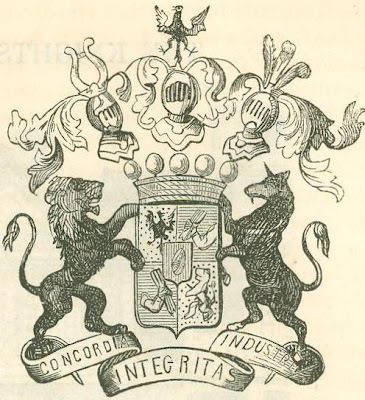 Nathan Mayer Rothschild far exceeded his father or any of his brothers in commer­cial genius. His attention was early called to England as an arena for action (he had not then become a partner), and thither he journeyed soon after reaching his majority. He commenced his career in Manchester as a money-lender, with less than $500, the cot­ton interest being then in its infancy there. Of course, as they say in Britain, he got on. At the end of five years he had $1,000,000­ - a rate of interest on his original capital which ought to satisfy the archfiend of pawnbrokers—and with this sum he went to London. So large were his transactions in the metropolis that one of the Jewish grandees of the city, Levi Cohen, selected him as an eligible candidate for the vacancy of son-in-law. Cohen became alarmed after the union on account of Nathan's apparently desperate speculations, believing the young man must soon be ruined. The latter calm­ed the paternal apprehensions, saying, "You have given me but one of your daughters, when it would have been an excellent stroke of business if you had given me all your daughters. Then they would have died a great deal richer than they will now." Nathan speedily won his place in the world's capital. His ventures in the public funds always turned out luckily. He was as bold as astute, entering into competition with the then immensely powerful banking house of Goldsmid, and undertaking what the Barings, Couttses, and Hopes lacked the nerve to engage in. While ancient firms were timid or tottering, he had his first transactions with the government. Wel­lington, while actively engaged on the Pen­insula, in 1810, had made some drafts which the Treasury could not meet, and which the Hebrew banker, anticipating the result of the struggle on the Continent, purchased at a liberal discount, renewed them to the gov­ernment, and finally redeemed them at par. It was a capital operation in every sense, bringing him into close and confidential re­lations with the ministry, and vastly enlar­ging both his opportunities and connections. The government employed him to transmit subsidies to the Continental powers, and he faithfully performed the task. He had the advantage of the earliest and most trust­worthy intelligence from Frankfort, and was in a position to return it in kind. Before long all ordinary means of com­munication were insufficient for his rapidly growing enterprise, and he determined to use carrier-pigeons and fast-sailing boats of his own for the transmission of news. Re­ports in cipher of all important events were tied under the wings of the birds, which were constantly arriving at the London of­fices, while his agents were crossing the Chan­nel in the stormiest weather under a peril­ous pressure of canvas. To this day the mail-boats between Boulogne and Folke­stone follow the course marked out by the London operator for his own craft. Such was his restless energy that not un-frequent­ly he hurried over to the Continent to watch with his own eyes the momentous issues of the time. His faith in the final downfall of Napoleon and the restoration of the Bour­bons had never been shaken. When the wonderful Corsican returned from Elba, and all the armies outside of France marched with secret dread against the one indomitable foe who had beaten them on every field, Rothschild once more traversed the Channel. He went to Bel­gium, and even followed in the wake of Wel­lington's forces, that he might be among the very first to know the result of the coming collision. His intense eagerness induced him to expose himself to the dangers of bat­tle. He felt that the fate of Napoleon and the florins of the Roths­child’s depended upon Waterloo; but to him the cause of universal humanity and freedom would not have borne the weight of a feather against the golden gains of his fortune-bloated house. He kept so close to the British commander-in-chief on the memorable 18th of June that the Iron Duke, who did not know him, fancied him to be a spy or an assassin, and swore, with one of his superabundant oaths, that he would hang that skulking Jew if he did not clear out. All day long Nathan Rothschild sat on his horse on the hill of Hougoumont, and with his glass to his eye anxiously watched the deadly struggle of the nations. Until the sun was low in the west the plain was buried in powder-smoke. When the cloud had lifted the French army was seen in full retreat. The greatest soldier of all time, haggard, de­feated, desperate, having failed with a sin­gle regiment of the Old Guard and a few pieces of broken cannon to make a rally­ing point for the demoralized fugitives, was borne away by Soult from the disastrous field where he had wished his life to end with his history. Rothschild took in the situation at once. True to his instincts, he saw in the awful car­nage only the shimmer of his gold. Chance had overcome the most heroic valor, the most stubborn resistance, the best-laid plans, and once more declared in the Hebrew's favor. He dashed into Brussels, whence a carriage in waiting whirled him to Ostend. At dawn he stood on the Belgian coast, against which the sea was madly breaking. He offered five, six, eight, ten hundred francs to be carried over to England. The mariners feared the storm; but a bolder fisherman, upon prom­ise of twenty-five hundred francs, undertook the hazardous voyage. Before sunset Roths­child landed at Dover, and engaging the swiftest horses, rode with the wind to Lon­don. What a superb special correspondent he would have made! The merchants and bankers were deject­ed; the funds were depressed; a dense fog hung over the city; English souls had sunk into their pockets. On the morning of the 20th the cunning and grasping Nathan ap­peared at the Stock Exchange, an embodi­ment of gloom. He mentioned, confiden­tially of course, to his familiars that Blu­cher at the head of his vast army of veterans had been defeated by Napoleon at Ligny on the 16th and 17th, and there could be no hope for Wellington with his comparatively small and undisciplined force. This was half true, and, like all half-truths, was particularly cal­culated to deceive. Rothschild was a leader among trading renards. His doleful whis­per spread as the plague, poisoning faith ev­erywhere. The funds tumbled like an aero­lite. Public and private credit wilted be­fore the simoom of calamitous report. It was Black Friday anticipated in Lombard Street. The crafty Israelite bought through his secret agents all the consols, bills, and notes he could raise money for. Not before the afternoon of the 21st—nearly forty-eight hours after the battle—did the news of Wel­lington's victory reach London through the regular channels. Rothschild was at the Exchange half an hour before the glad ti­dings were made public, and imparted them to a crowd of greedy listeners. The Bourse was buoyant. Everything went up more rapidly than it had gone down. England was happy as well she might be; for she had stumbled into the greatest triumph in her history. When merchants and bankers shook hands with the Hebrew speculator, they noticed, though they did not under­stand, an unusual warmth of pressure. It was not rejoicing with the nation; it was the imaginary clutching of six millions more of gold. 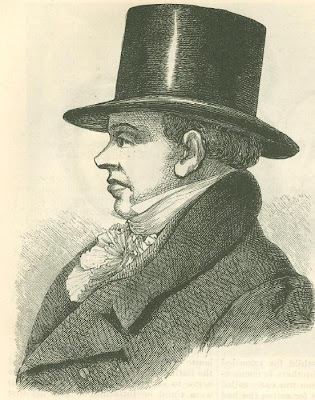 After Waterloo, Nathan Rothschild was more lucky and prosperous than ever. The gift of Midas seemed to be his. Even his injudicious investments sometimes swelled his already plethoric purse. He sold out his part in the English loan of 1819 and the French loan of 1823 before they went below par. Foreign loans were first popularized in England by him by fixing the rate in sterling, and making the dividends payable in London instead of in Continental capitals. His house became ere long the financial agent of all the governments of Europe, and the business of the London firm extended to every quarter of the globe. Nathan was as minute as he was compre­hensive. Reaching out to the Far East and the remote West for increase of income, he doted on the most diminutive details. Princely in his entertainments, he was pe­nurious to the last degree in dealing with subordinates and employs While he was investing millions he would dispute a bill for a shilling, and keep overworked clerks on the verge of starvation. Lavish for his vanity, he was a niggard at heart. A giant in grasp and enterprise, he was a worm in soul. He invested nothing in humanity, for humanity, to his short-sightedness, returned no interest. He recognized nothing but per­centage; and he is reported to have calcu­lated to a penny the cost of his marriage months before he proposed to the daughter of the pound-adoring Cohen. The high-priest of the Exchange was not happy even in the midst of his overflowing coffers. Naturally enough, he had few friends and numberless enemies. In his later years he suffered from constant dread of assassina­tion. He was always receiving threatening letters, declaring that his life depended on his sending certain sums of money to certain addresses. He scented murder it every breeze, suspected poison in every cup. In sleep, he had nightmare visions of crouching things; in waking hours, he started at every unexpected noise. One morning two strangers were an­nounced as having important business with the banker, and they were shown into his private office. He bowed to them, and in­quired the nature of their negotiation. They bowed and said nothing, but advanced to­ward him, thrusting their fingers nervously into their pockets. Rothschild's alarm was excited at once. They must be searching for concealed weapons: their bearded faces made it clear to his frightened fancy that they were homicidal ruffians. He retreated in terror behind a large desk, seized a pon­derous ledger, hurled it at their heads, and screamed "Murder!" at the top of his voice. 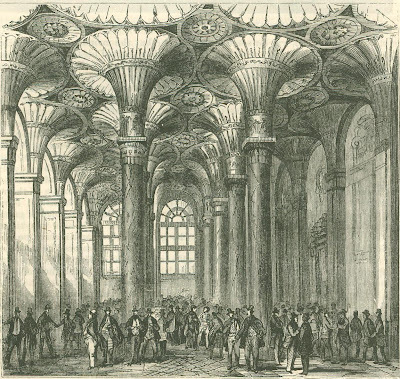 A small army of clerks poured into the room, and laid violent hands on the strangers, who proved to be wealthy Polish bankers bring­ing letters of introduction to the (physically timid) lion of loans. Embarrassed by his auriferous august presence—what is there in a breathing money-bag capable of inspir­ing awe?—they forgot their speech and their common coolness of conduct. They were nearly as much terrified as the renowned Israelite; and as it was their initial visit to England, they imagined at first that all for­eigners were deemed robbers and despera­does until the contrary was established. The wretchedly rich Nathan never went out alone after dark never entered an un­lighted room had servants within call of his bed-camber, slept with loaded pistols under his pillow. A fellow-Frankforter, dining with him one evening, and observing the luxury of his household, remarked, "You must be hap­py, baron, with the power to gratify every wish." "Happy, indeed!" was the response. "Do you think it happiness to be haunted always by a dread of murder, to have your appetite for breakfast sharpened by a threat to stab you to the heart unless you enclose a thou­sand guineas to some unknown villain?" On one occasion, when the great financier had been to an evening party, and had got­ten into his carriage to go home, a friend, wishing to make an appointment, stepped out to speak to him. The timorous banker mistook his familiar for a highwayman, and thrust a pistol out of the carriage window, with his favorite cry of "Murder!" before he could be acquainted with the situation. As Rothschild grew richer and older his fears increased. He became almost a monomaniac on the subject of assassination, and many of his relatives thought him in serious danger of insanity through his constant ap­prehensions. Most of the menacing mes­sages were unquestionably sent him by his enemies, with whom he was plentifully sup­plied. Conscious of his weakness, they re­venged themselves upon him by inspiring him with baseless terrors. He was repeat­edly told so, but he could not be induced to believe that he did not dwell in an atmos­phere of poisons, poniards, and pistols. A good example of his manner of doing business was shown in 1831. It is a familiar fact that the supply of quicksilver has al­ways been limited, and at that time was mainly furnished from the Spanish mines of Almaden and the Illyrian mines of Idria. The former had yielded richly for centuries, but the Napoleonic wars withdrew labor from them, and so interfered with their product as to diminish very seriously the reve­nues of the Spanish crown. The kingdom required a loan, and recourse was had to Nathan, who agreed to furnish the money, provided he could have as security the Almaden mines for a given num­ber of years. They were duly made over to him and his house, and the price of quick­silver was immediately advanced one hundred per cent. 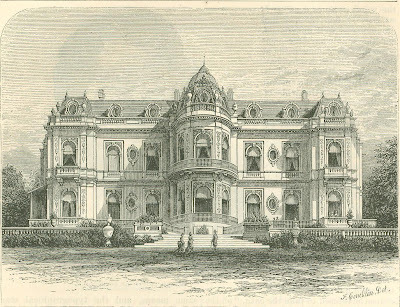 The trade, amazed and an­gered, sent to Idria for the necessary metal, only to discover that the Rothschild’s had been before, had obtained possession of those mines, and fixed the rate there also. Public opinion and the press condemned the firm se­verely for the united monop­oly and extortion; but as its members realized $5,000,000 or $6,000,000 by the transac­tion, any laceration their feel­ings might have undergone was hastily healed. 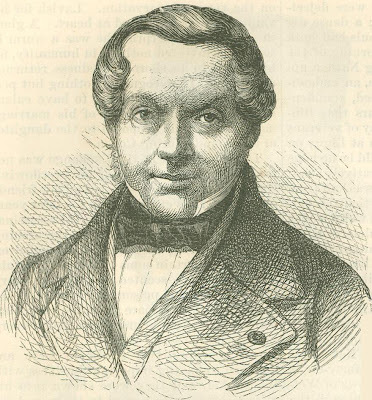 James Rothschild, chief of the Paris branch, having mar­ried his niece, the daughter of Solomon, and Anselm, the head of the Frankfort house, having mar­ried his cousin, Nathan's eldest daughter, Nathan conceived the idea of perpetuating the name and power of the house by such consanguineous connections—common from the earliest time with Hebrew families. With this view he called in 1836 a congress of the members of the household at Frank­fort to consider the momentous question. They all favored it, and as an introduction to the settled connubial policy, Nathan's eldest son, Lionel, was united to his cousin Charlotte, the eldest daughter of Charles Rothschild. 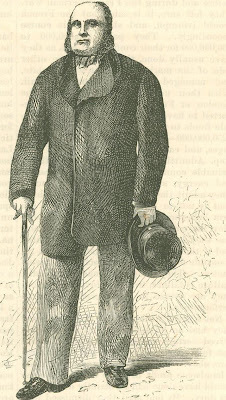 Nathan was overjoyed at the adoption of his matrimonial system; but on the very day of the nuptials, June 15, he fell alarmingly ill—he was suffering from a car­buncle when he quitted London—and died in less than six weeks, in the fifty-ninth year of his age. His mind wandered at the close. He imagined, as had been his habit, that he was hunted for his life; and the last words he is reported to have utter­ed were, "He is trying to kill me!" and, "Quick, quick! give me the gold!" It was a mercy to the magnificent hunks that he was not conscious. To have known that he was parting forever from the $70,000,000 or $80,000,000 he is supposed to have left would have been agony sufficient to annihilate his sordid soul. Early the following day an English coun­try lad near Brighton shot a bird flying over his head. When it fell to the ground it was discovered to be one of the carrier-pigeons which the Rothschild’s had made familiar to the public. The only message it bore was the words, "He is dead" ("Il est mort"); but the personal pronoun was well understood, and the simple announcement created a tremendous panic at the London Stock Exchange. Nathan's will when publish­ed gave no hint of the amount of his property (the wills of the Rothschild’s reserve such information for the immediate family), but enjoined that his four sons should conduct the business in company with their uncles, and that his three daughters should not marry without the consent of their mother and brothers under penalty of disinheritance. Lionel de Rothschild, now sixty-five, has been since his father's decease at the head of the London house. He is sin­cerely esteemed being free from his parent's penuriousness and other faults, and was elected to Parliament in 1847, but he did not occupy his seat, because he refused to take the oath, "on the true faith of a Christian." He continued to be chosen for eleven years, when the disa­bilities were removed, and he entered his place — the first Hebrew member of the House of Commons. The Paris branch was founded in 1812—the year of Mayer Anselm's death—by Solo­mon Rothschild and his youngest brother, James, who assumed the management, and retained it until a call from the cemetery (November 15, 1868) compelled him to retire. James's sons, Alphonse, Gustave, and Solo­mon, were admitted into partnership; but the eldest, in accordance with the traditions of the house, was the directing and control­ling mind. The Paris firm soon gained a proud position, and exercised an immense influence. The restored Bourbons applied to it for loans, and procured them, and James also served the Orleanists with the funds required. Louis Philippe was so sen­sible of such financial favors that he permit­ted James to participate in many royal spec­ulations. A warm friendship, indeed, sprang up between them, and with the baroness Queen Amelia grew to be romantically inti­mate. 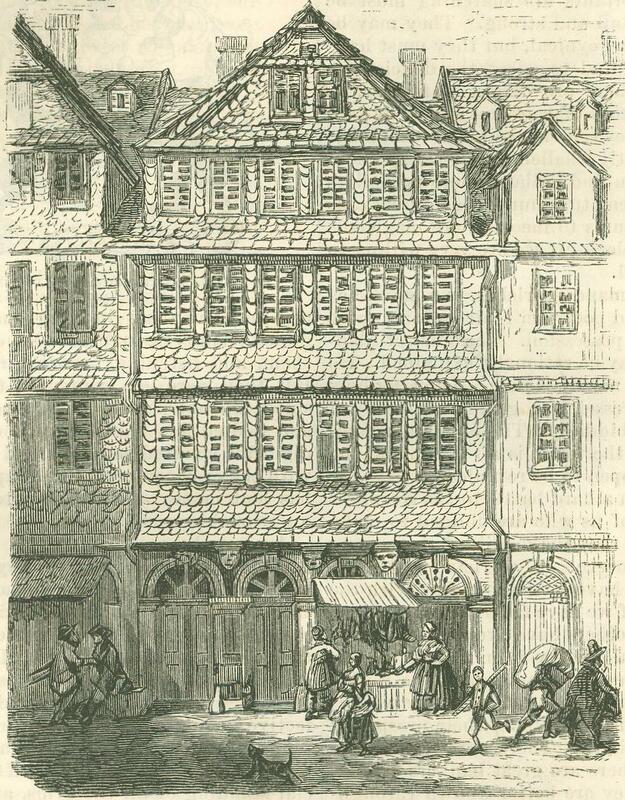 The building of railways in France open­ed a broad avenue to the Rothsehild’s. Their capital constructed different roads, and their profits were very large. In 1841 the crops of the country failed, and many of the labor­ers and mechanics of the capital having nei­ther money nor employment, the bankers were regarded as responsible for the prevail­ing distress, and bitterly lampooned in pam­phlets. They defended themselves by the same means, and the typographical war waxed hot for some while, capital, as usual, arraying itself on one side, and poverty on the other. 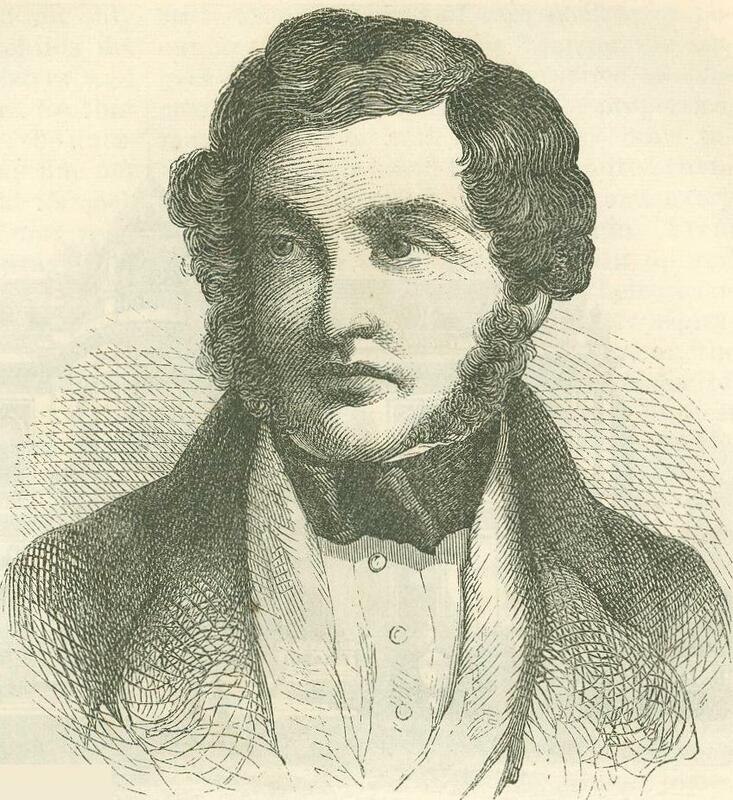 The revolution of 1848, which expelled Louis Philippe, rendered the Roths­child’s so extremely unpopular, not to say odious, that a mob of the people destroyed their country residence at Suresnes, and obliged the principal members of the house to place themselves under the protection of the police. 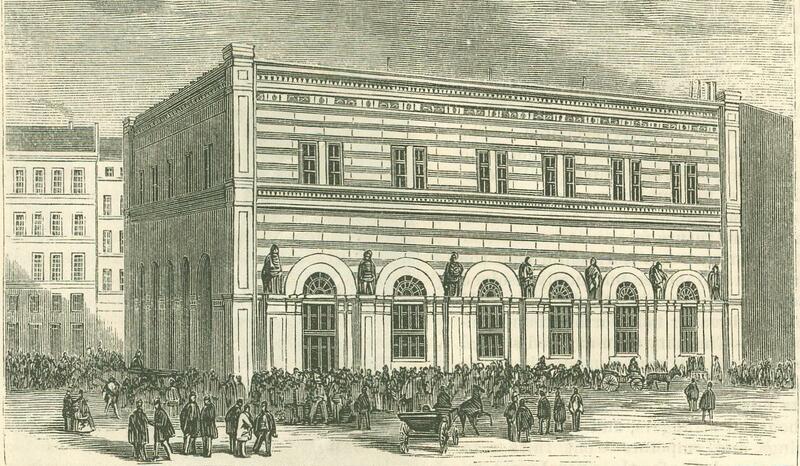 There was a most formidable panic on the Bourse. Rentes declined to 40; stocks and credit were well-nigh swept away in the tornado of distrust, and thou­sands of wealthy citizens were impoverish­ed. The Rothschild’s lost immensely—not less than $60,000,000, it is asserted, in ten months—but their capital and credit were so great that the one was not materially im­paired, and the other not affected in the least. They met with promptness every franc of their engagements. Their energy, courage, ability, and integrity were so splen­didly illustrated that they commanded the admiration of the whole commercial world. They were sublime in their self-dependence, glorious in their capacity for management. As they had often done before, they turn­ed their own misfortune to advantage, and when the Second Empire began, had more than made good their enormous losses. The Naples branch, established in 1821, was given up after the incorporation of the Two Sicilies with the kingdom of Italy. The four original houses remain, though they have agencies and interests in all the leading cities of Europe, Asia, and Africa, as well as North and South America. They have belted the globe with their operations, and are in the fullest sense universal and cosmopolitan bankers. For generations they have been barons, and the title is hereditary in their family. Since the death of old Mayer Anselm, they have added the distin­guishing de and von to their names, and are as far removed from democratic affiliations and sympathies as if it were a thousand in­stead of a hundred years since their ances­tors counted kreutzers and old rags in the Judengasse of Frankfort. They have always been devoted to their theological faith, and strict in observing all the forms of the synagogue. They are not without superstition in their creed, believ­ing that much of their good fortune has come from their unswerving fidelity to Ju­daism. Their charities to their co-religion­ists have been many and liberal. They have endowed schools, built hospitals, and found­ed almshouses. Their attachment to their ancient form of worship is noble and com­mendable. They cannot help remembering how bitterly their people were persecuted for ages, and how very recent it is that they have been allowed to enjoy either political or civil rights. Long after Mayer Anselm had grown rich he and his fellow-Hebrews were locked into the Jews' quarter of Frank­fort after nightfall, and forbidden to depart thence until the iron gates were thrown open in the morning. If the great bankers have forgiven the inhuman wrongs done through centuries to their race, they are singularly magnanimous. They have reason to feel as Shylock felt to Antonio toward the fawning Christians who go to them for money. Their negative revenge cannot be without sweetness when they think that the once despised and hunted Jew has had the proudest nobles begging for his gold, and even kings soliciting his aid, it has been their boast that monarchs could not go to war without the consent of the Rothschild’s. Like most boasts, this was not strictly true; but hey who furnish the sinews of battle are the most desirable of allies, not less than the most formidable of foes. The Rothschild’s, save at rare intervals, continue to intermarry, and are likely to while the powerful family holds together. If the common theory respecting the union of blood-relatives were true, the banking brotherhood would be reduced by this time to hopeless imbecility; and they are in the opposite extreme. The theory seems to rest on no substantial base, but may have sprung from the natural aversion which most well-regulated minds feel to consanguineous wedlock. Marrying one's own cousin, or the son or daughter of one's own brother or sister, appears to me little less than monstrous. I cannot com­prehend how moral sanity can contemplate it except with a shudder of disgust. I should think a man who would take his cousin for wife might be induced to take his sister, were the cousin wanting. The difference is only in degree. No general rules can be laid down for anything; but if we wed not only cousins but nieces, as the Rothschild’s do, why should we not wed our sisters and mothers, or even our grandmothers, for that matter Setting aside the ethics of the ques­tion, such alliances are certainly not .fine nor poetic. Instinct and delicacy bid us seek for feminine partners outside of our rela­tives—where we have no advantage but that which affection and sympathy give. He who cannot be mated except through his own blood would better far remain a celibate. The rights and rites of love should be sought in open "field, un-seconded by kin­ship, independent of privilege. The lover should win his spurs fairly and bravely, rid­ing to victory or defeat with his best skill, trusting in himself, and leaving the result to the amorous deities. The Rothschild’s have been very dissimilar in complexion, some possessing the amiable and generous qualities which others almost totally lacked. Mayer Anselm, as has been shown, was as kind and charitable in his later years as his son, Nathan Mayer was covetous and churlish; and again his son Lionel, in breadth of feeling and quickness of sympathy, is wholly unlike his father. From the first they have been capitalists and amassers to that everything has been rendered subservient; and into the ceaseless accumulation of money the human­ities seldom flow. They have been undevi­atingly loyal to themselves and the tradi­tions of their house. They have been the incarnate spirit of business, following the habit of their commercial creator in buying cheap and selling dear whenever the rule was sanctioned by an enlightened selfish­ness. They have been generous to sover­eigns, and grasping to subjects. They have advertised their liberality, and have kept their meanness in private records. Through all their resplendent career they have pre­served the heart of the money-changer, with no fear of fatal consequence from its enlarge­ment. They have been princes in the par­lor, and pawnbrokers in the kitchen. While consorting with kings, they have longed to handle the crown jewels as pledges. Their principle has been never to forget their in­terest, and their interest always to be mind­ful of their principal. Their monomania has been money mania, and has been regulated by supreme discreetness and the nicest cal­culation. The mere passion of gain, in its material aspect, long since ceased to impel them; for, many years ago, their fortune had swelled beyond accurate reckoning. The gratification of power urges them to increase their capital by every means with which traffic is acquainted. So it will be centuries hence, for the sense of power is in­capable of satiety, and there seems to be no end to their prosperity. What the Rothschild’s have been they are still—men possessed of rare genius for pecuniary planning, and for bearing the lar­gest and most difficult enterprises to successful issues. They transmit the properties, material and mental, which they have inherited. Their blood flows in kindred chan­nels generation after generation, and every drop of it dances to the jingle of coin. From foundation to turret they are built up and bulwarked with cash. Cash is their incen­tive to action, and the limit to their aspira­tion. In due process of development, the future Rothschild’s may become sacks of shining sovereigns. Then will their highest aim be realized. They will then realize the substance of their absorbing thought, of their unending dream. 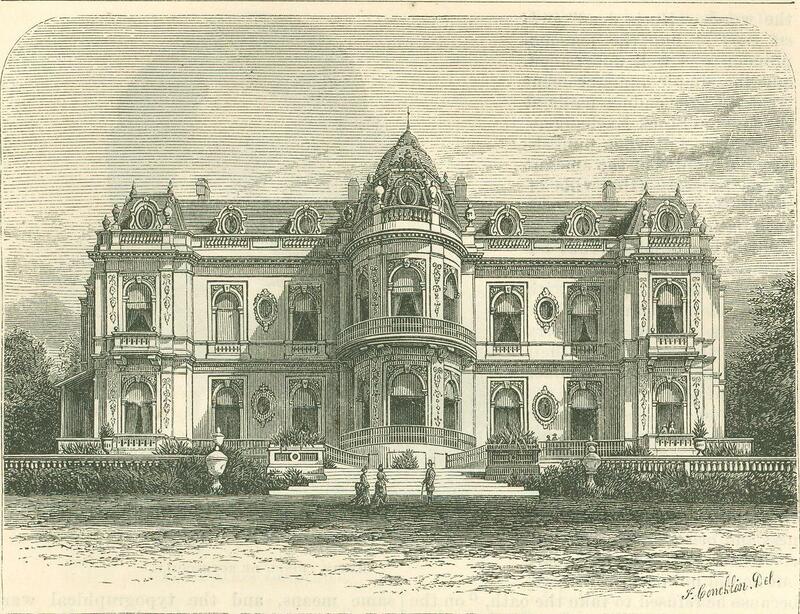 The progress of the house of Rothschild may be divided into periods. Up to 1798 only the parent house in Frankfort existed, and it was then comparatively little known. After Mayer Anselm's death the London, Paris, Vienna, and Naples branches were opened, and :the business was vastly ex­tended, Anselm Mayer becoming, by reason of his superior years, the successor of his fa­ther, and chief of the Frankfort bank. The second period, embracing but three years (1812 to 1815), was marked by the sur­render of most of their private transactions, and the substitution therefor of larger and public enterprises, like government loans, the issue and negotiation of exchequer bonds, and dealings in the public funds. Their operations in commercial bills at this time were gigantic, reaching sometimes hundreds of millions a week. In the third period, fifteen years (1815 to 1830), Europe was largely occupied in pro­viding for the liabilities incurred during the Napoleonic dynasty. Consequently great loans were needed by the nations, and were mainly negotiated by the Rothschild’s, who had Teen highly recommended for punctu­ality and integrity by the Elector William I. at the Congress of Vienna. During this eventful period they are reputed to have ne­gotiated loans to the amount of six thousand millions of dollars—a sum scarcely conceiv­able—from which their profits, including percentage and advance of rate, must have been bewildering. Moreover, they made a vast deal of money by buying and selling, on their own account, exchequer bills of all countries whenever the political situation favored their purpose. There appears, in truth, to have been hardly any limit to their gains. With their immense capital they could purchase to almost any extent when the market was down, and they could hold their purchases indefinitely. To have Aladdin's lamp and Fortunatus's purse, and the control of Sindbad's valley of diamonds, would not seem to yield much more cash-creating power than the Hebrew bankers had and still have in their hands. The great strength of the Rothschild’s was demonstrated during the commercial crisis of 1825, when their bountiful aid saved the Bank of England from suspension. Their credit to-day is as firm as the foundation of the Himalayas. It is almost unassailable, and the house is regarded as safe beyond any and all contingencies. If by any chance confidence in them should waver, every bank and moneyed institution in both hemispheres would be forced, through universal distrust, to close its doors. The fourth period extends from the second to the third French revolution (1830 to 1848), and covers an era of extraordinary activity. The expulsion of the Bourbons, caused by the successful revolution of July, gave a tremendous blow to European commerce and credit. Securities of nearly every kind were unsalable and even the Rothschild’s were obliged to make remarkable efforts to meet their obligations. Since then they have kept vast amounts of coin in their vaults, determined to be prepared for any emergen­cy, and are not likely to be so caught again. During the eighteen years of peace the bank­ers reached the highest point of their power, and gained the fullest confidence of all finan­ciers and ministers. They were the center of every large operation; they led every colossal enterprise; they controlled every money market in Europe. One of their favorite methods of specu­lating in those ante-telegraph days was to notify their well-known brokers to sell a certain stock or security. Everybody on the Exchange would be aware they were selling, and as they invariably had the ear­liest information, their action would have a very depressing influence on the market. The simple announcement, "The Rothschild’s are selling," let the security be what it might, would put down the particular secu­rity from two to five per cent. After the decline the cunning Israelites would instruct their secret agents to buy at the reduced price; and the security, suddenly discover­ed to be sound, would mount to its old or perhaps to a still higher figure. They also set rumors afloat, as the bulls and bears of Wall Street do, to put down what they wished to buy or to put up what they wanted to sell; and having executed their purpose, the good or bad news of their invention would fail to be confirmed. They have persistently denied that they were ever stock-jobbers, though it would be hard to tell what they are if they are not such. They have never been desperate gamblers on the Exchange—they are too cool and acute for that--they have never taken great risks, but they have arranged their program with all the chances on their side, and carried out the program to their entire advantage. When they gamble they usually have the cards marked so as to be guaranteed against loss. Rothschild is a smooth and complaisant creature, but those who play with him cannot be too sure of their own hand. A great house like theirs understands of necessity the value of commercial honor—in plainer phrase, that honesty is the best pol­icy. Their word is always religiously kept. Their promise, once given, is as certain of redemption as their drafts are to be paid. Their financial record is stainless. That which they say they will do may be regard­ed as already done. The perfect keeping of the trust reposed in Mayer Anselm by the Landgrave of Hesse is typical of every branch and individual of the world-renowned house. To put it simply, the Rothschild’s have com­mon-sense and uncommon honesty. They are wise of their own interest. They know that to tell truth in their regular business, and to preserve their smallest covenant to the lightest shadow of its significance, pays in the long-run a better percentage than any investment, however attractive, in falsehood and perfidy. A loan of the house to Spain years ago in­volved it in a loss of millions. The firms that had subscribed to the loan were called upon to contribute proportionally to their subscriptions. The eminent bankers were willing to grant a liberal discount, which was accepted by all their creditors except one. He declared he would pay in full, not­withstanding the payment must ruin him. "Money," he continued, "may be regained, but honor, once gone, never can be. At all hazards, I will preserve my honor." The chief of the house replied, " We will not ruin so upright and conscientious a man. If you will accept the position, we shall ap­point you our general agent in your city for we feel assured we could not have a wor­thier representative." The stubbornly honest creditor accepted, and held the post for a long time to the en­tire satisfaction of his employers. The fifth period is included between 1848 and the present. For the last quarter of a century the Rothschild’s have immensely augmented their capital, but they have not increased their power, which is really less than it was during the fourth epoch. They continue to be the largest and most influ­ential banking house on the globe, and the richest family known to history, but their positive ascendency on the bourses of Frank­fort, Vienna, and Paris has happily ceased. Since 1848 the governments abroad—Austria, France, Italy, and Prussia are examples—have borrowed directly from the people, and so saved the large sums they formerly paid to bankers. This change has inevitably diminished the influence of the Rothschild’s much more than their income, and set them further from cabinets and crowns. Even they cannot control the progress of events, or resist the revolution of customs. They have found, however, ample employment for their capital in the construction of rail­ways, the building of iron-works and factories, the development of mines, and other industrial undertakings, without departing from legitimate banking transactions. In fact, they deal in everything that contains profit. They hold, it is asserted, 850,000,000 of American securities. They own large estates in Britain, Germany, Austria, and France, cotton factories at Man­chester, cutlery establishments at Shef­field, ships on the Clyde, warehouses at London, gardens near Paris, villas on the Rhine, mills along the Maas, gold mines in California, wheat crops in Russia, statues at Rome, boats on the Nile, plantations in Jamaica, shawls in India, rubies at Teheran, tobacco fields in Virginia, idols in Japan, and towns in Siberia. They call themselves merchants as well as bankers, and, in the largest sense, they are both. Of the capital of the Rothschild’s, which is constantly and rapidly increas­ing, nobody but themselves has any positive knowledge. It has been rep­resented as surpassing the aggregate wealth of all the crowned heads and royal princes of the Old World. What­ever the exact amount, it cannot ap­pear other than fabulous. When we remember how surprisingly fast great sums of money increase at compound interest—this is the bankers' method of investment—some approximate idea may be had of their cash means. A review of the history of the house indi­cates that it cannot be less than five hun­dred millions of dollars (it may be much more), independent of the private fortunes of the individual members of the firm, which must be nearly, if not quite, equal to their business capital. Respecting their partnership affairs every Rothschild is as silent as the Sphinx. They are never mentioned outside of their own immediate family. Its members rigorously sink the shop, not from good-breeding, but from ingrained caution and cultivated reti­cence. Confidence in others is not one of their virtues. They trust themselves, and distrust humanity. "A man will not tell what he has not heard," was a pet aphorism of Nathan May­er; and "Gold never repeats what it sees," was often in Mayer Anselm's mouth. Confidential clerks are not in favor with the house. So great bankers must have some; but they impart nothing to their em­ployees which is not essential to their busi­ness. Scarcely any one of their accountants or agents knows anything of their affairs beyond his proper functions. They demand that he shall be highly intelligent and capable in those, and ignorant of what lies be­yond. They always prefer their own race as as­sistants, especially in offices of responsibil­ity. While they do not insist that every man in their service shall be a Hebrew, they have few aids not of their faith. I have frequently been in their different banking houses, and all the faces I have seen there have borne the Israelitish stamp. When I had first entered their London establishment I imagined myself in a synagogue; and in Vienna I mistook their little out-of-the-way up-stairs office for a pawnbroker's. They have an ardent bias in favor of the descend­ant of Moses. They think him—not with­out reason—more astute and sagacious in money-matters than the Christian is, more secretive, and more faithful to his sect. Be­sides, they wish, very justly, to help and en­courage their own—to be Hebrews with He­brews, to combine the sympathy of religion with the interest of business. On the whole, the losses of the Roths­child’s, considering their extended and gi­gantic operations, have been strikingly few. Their last heavy loss, so far as known, was before and during the Franco-German war. They felt sure, it is said, that the French would triumph, and shaped their course accordingly. They paid $25,000,000 to $30,000,000 for their confidence; but, as they have usually done, they got on the other side of the market before it was too late, and managed their detriment to avail. With their unlimited cash reserves—the London or Frankfort branch alone is re­ported to have on hand sometimes convert­ible funds to the amount of $200,000,000 to $250,000,000—they have incalculable advan­tages, and can readily recover from a false step. Admitting their unbounded wealth, in­valuable connections, superlative foresight and energy, still they have been lucky. They admit they have (they admit nothing that is not to their behoof), and they are firm believers in luck. They will not em­ploy, nor embark in an enterprise with, any one they know to have been unfortunate; and if their agent proves that he is not re­sponsible for failure, he is discharged never­theless. They judge efficiency by result. Failure is failure, from whatever cause, and they are averse to any precedent of non­performance. Not a great while ago, as the story goes, they had an auxiliary in Smyrna who re­ceived certain instructions, which he did not fully comprehend, and did not, there­fore, obey. The consequence was he made a handsome profit in place of losing, as he would have done had he strictly discharged his duty. By one mail they dismissed him for carelessness; by the next they re-en­gaged him, because he had been successful. With them a happy issue will atone for an­terior blunders, if the blunders be not re­peated. The Salique law is rigidly adhered to in the house of Rothschild. All the sons and some of the nephews, of its members are predestined to partnership by their birth. The third and fourth generations from Mayer Anselm now compose the firm, numbering, I think, some twelve of the family. To be deprived of a son is a great sorrow to any one of the bankers. Anselm, the eldest son of the founder, was deeply dis­tressed from that cause, and offered his wife a million florins (about $500,000) if she would present him with an heir. Liberal as the sum was, it does not seem to have been enough to produce the desired effect. He took his disappointment good-naturedly, however, remarking that the price of boy-babies must have advanced since his time, for he would have been willing to be born for half the money. When he appointed his nephew, Mayer Charles, his successor at Frankfort, he took the young man in his arms, saying, "Much as I love you, I should have loved you better had you let me be your father. Daughters are dear to my heart, but they can't be bankers, you know." It appears to be the European fashion for bankers to withdraw themselves from pub­lic attention. They seldom have signs, and are in such unexpected places that it is hard to run them down. They are doubt­less aware that men who have money to lend will always be found. If they should bury themselves in the bowels of the earth, some hard-up gnome would badger them for discounts. The Rothschild’s are par­ticularly hard to discover. St. Swithin's Lane, London, at my initial visit, I spent an hour in getting at. It is as ingeniously missituated as the Times itself, Printing-house Square being little else than an un­clean alley. The Rothschilds' offices are spacious and pleasant when you have once unraveled them—unlike their closer quar­ters in Paris, Frankfort, and notably Vien­na. Their parent house, on the corner near the new synagogue, between the Zeil and the Judengasse, has always interested me. To a casual observer, it might seem the abode of bankruptcy, so ancient are its equipments, so worn its desks, so dusty its counters. But a little observation reveals the signs of its treasures in piles of bills, bags of coin, and packets of bonds and you breathe amidst its dinginess the air of gold. Though the Rothschild’s have hundreds of millions, they are very willing to make one-eighth of one per cent on very small amounts, for they know that from the slenderest beginnings arose the fabulous fortunes which seem to have sprung from a tale of enchantment or a dream of Firdousi. from Harper’s New Monthly Magazine, 1874.